Certificate of Compliance - Requirements. EBS Services can assist with requirements and issue of a valid COC. No Mess no Fuss cost effective approach. 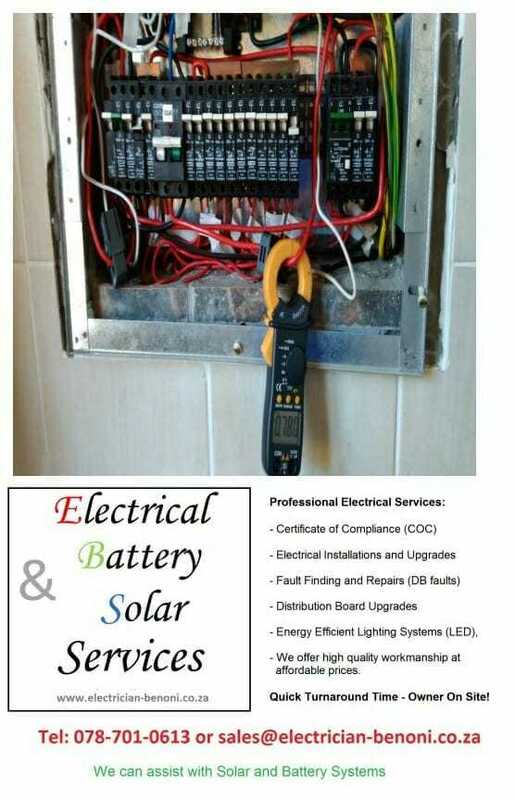 Also Extension Certificates for Solar Systems and Generators. 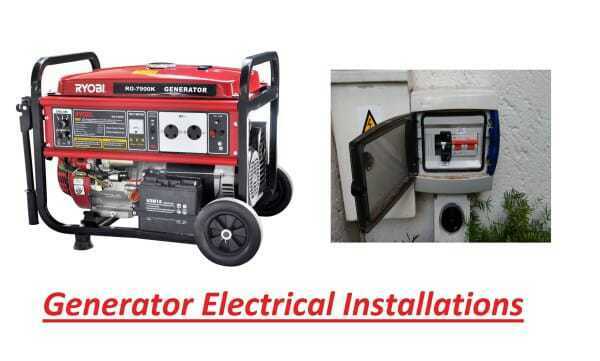 The above is the basic requirements we need to do to ensure the Building/s are safe and compliant and we will then be able to Issue a Electrical Certificate of Compliance. 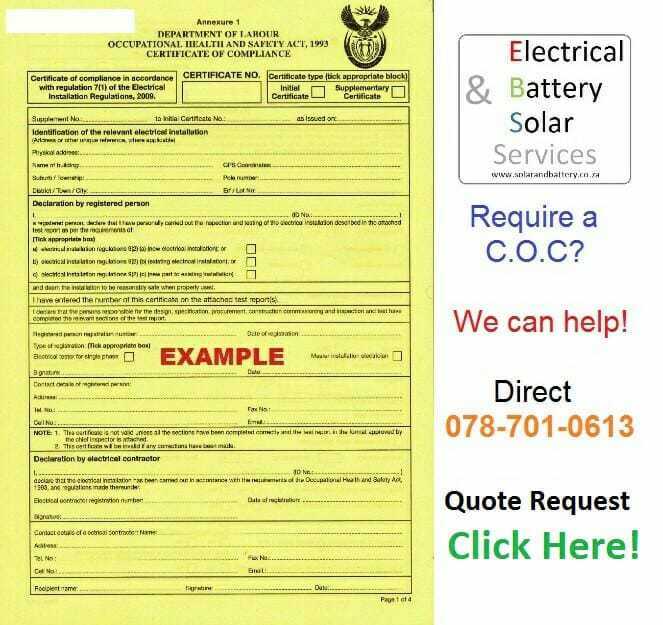 EBS Services can assist from Electrical Changes (if any) to the physical issue of the COC document. For More information on Costing or a Quotation please use the Contact Us page or Call Us button!